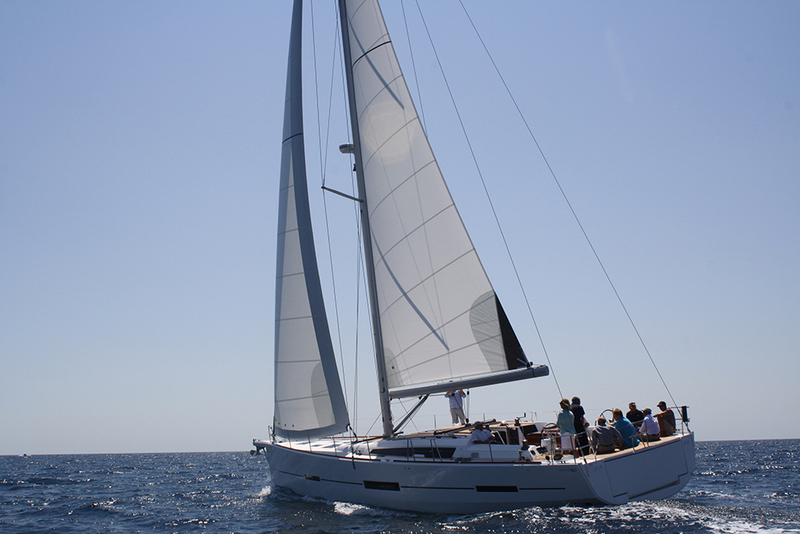 For groups up to 8 people, this cruise takes you on our luxurious Dufour 560 sailing yacht DREAM CATCHER with a large comfortable cockpit, and plenty of amenities. Your sail will depart from Marina Del Rey into the beautiful Santa Monica Bay. Destinations may include Malibu, Whale Watching off Palos Verdes, or a leisurely sail towards Catalina Island. We provide complementary soft drinks, water and snacks. You may bring your own selection of alcoholic beverages (we request you do not bring red wine as it stains). Bring your music to make this experience all yours! Bluetooth connection and sound system onboard. Skipper and crew not included in charter booking fee. Fees to be paid directly by charterer to the skipper and crew. In the case of inclement weather we will reschedule your experience.